New Chanukah Song from Yerachmiel! 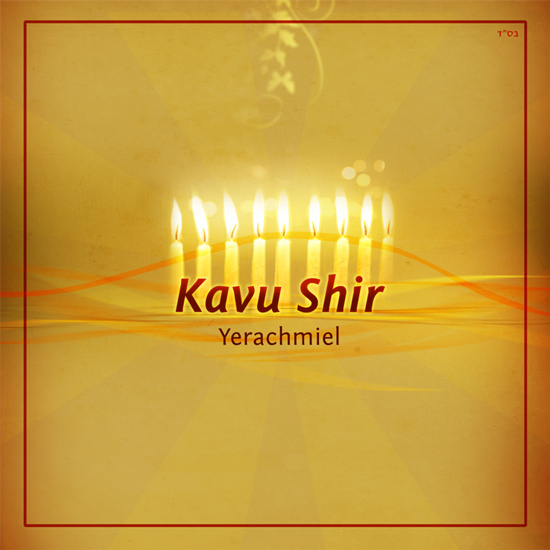 A brand new song, titled, Kavu Shir, written by Yerachmiel. With Vocals and guitar by yerachmiel. Drums – Moshe Yankovsky. Bass – Yosef Mordechai Wexler. Saxophone – Shaul David Judelman. Keys – Gavriel Saks. Harmony vocals – Yerachmiel, Hermie Wolf & Nachman Golshevsky. Recorded at Asiyah Media Jerusalem. 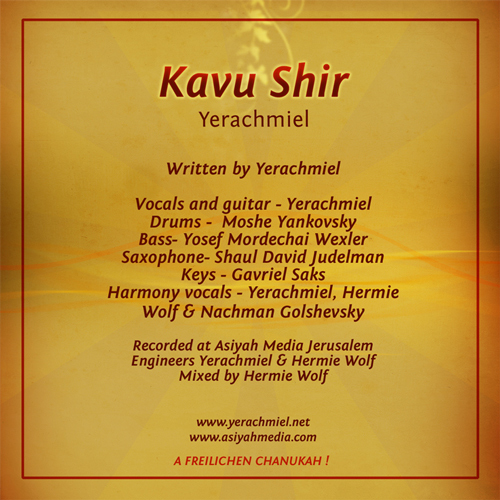 Engineer – Yerachmiel & Hermie Wolf. Mixed by Hermie Wolf. Here is a sample clip. To download the song, for 99 Cents, go to MostlyMusic.com.